Handheld scanner is an extremely compact scanner that easily fits into a drawer or your laptop pocket. Whether you are at home, in the office or library or enjoying a cup of coffee, the handscanner can always be there! 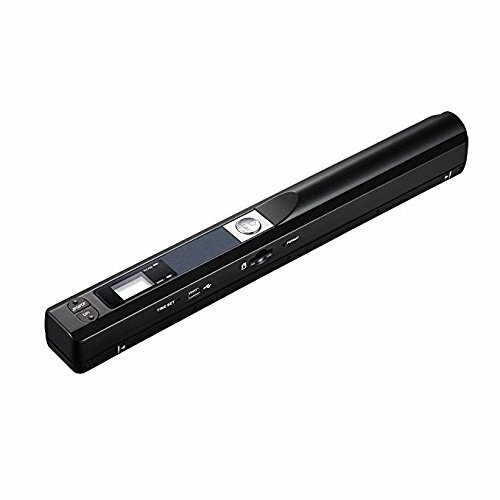 The Portable Scanner scans images or pictures quickly: Store JPEG/PDF files within seconds, scan images or pictures quickly, plug and play, no need any software preinstalled. Compatible with Windows XP/7/Vista/Mac OS 10.4 or above version. If you have any questions about this product by zoeson, contact us by completing and submitting the form below. If you are looking for a specif part number, please include it with your message.